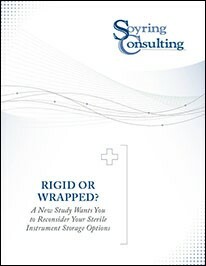 White Paper | Rigid or Wrapped? A recent study published in the American Journal of Infection Control suggests that your rigid containers might not be as foolproof as you think. Keeping in mind that post-sterilization bacterial ingress may lead to surgical site infections (SSIs), this study tests two different sterilization packaging systems (SPSs) against each other: rigid containers and wrapped trays. How should your facility make an informed decision regarding SPSs?